To get an Idea of what is a Non-Toxic Disinfectant and Electrolyzed Activated Water? How can such a strong chemical disinfectant really be Toxic free? What is Electrolyzed Activated Water? There are lots of different expressions stating “Non-Toxic disinfectant”, however the easiest and understandable expression is Non-Toxic disinfectant as sterilizer. You can imagine the usage as well as other features from the dialogue between a Doctor and a Professor. Secondly It was not stable – if not used within hours, the smaller units of structure dissipated and its oxidizing/reducing properties were diminished. This made it only feasible for large companies who could afford the initial investment in equipment, resulting in immediate use after generation. Are other Electrolyzed Activated Water generators available? Yes, however we believe we have more experience in terms of the production and manufacturing of this technology. NO Producer would say that their products are behind someone else in terms of quality or technology. However Our Team would also say that NO 100% perfect products exist giving 100% user’s satisfaction. We have however continuing development with the goal of a perfect product. We have the technical background on Electrolyzed Activated Water and experience in its application and usage. Please Contact us if you want to know more and about the different applications. You will be guided to the appropriate web site. The electrolysis has invented long time ago 18C. by Michael Faraday, Why the technology and its applied products could NOT be found from market in easy? What is a Non-Membrane(Membrane-Free) Technology? The KTCC’s system – is designed to use hassle-free, easy maintenance by adapting a non-memrane type cell into the ECA system. Operating eKlean System and/or device with You is as easy as ABC, as simple as PLUG-AND-PLAY. How Electrolyzed Activated Water works and how the Electrolyzed Activated Water from S.W.P.T is different with ordinary oxidized water? Firstly, we have introduced Electrolyzed Activated Water to the Medical care industry where NO one previously had thought to. It is a more critical and conservative industry than most other industries, however we made this decision as we are confident with the quality and efficacy of our product and our own commitment. Today various Viruses, (SARS, AIDS, Hepatitis B & C, Measles, Aviation Flu, Avian Influenza, H5N1) transmitted through contact to contaminated sources, threaten human life. NO one can guaranty that all those doctors, nurses and other staff working in hospitals are safe from such infectious diseases. A Virus is one critical factor of infectious disease and its infection tract can be caused by contact with blood or physical fluids. Electrolyzed Activated Water (or Waterlox in the Medical and related sector) reacts on viruses within 5 seconds giving 100% sterilization, and is HARMLESS to humans with its non-toxic and non-irritant features. Therefore, it is a very superior disinfectant not only for viruses like SARS, Hepatitis B & C, AIDS, etc. but also with Nosocomial, MRSA, Aviation Flu, etc. Any differences compared to other conventional, old-fashioned ECA Systems ? Absolutely KTCC’s ECA System & device are an advanced mechanism different to other old-fashioned look and huge machines in terms of size, design, as well as it’s engineering mechanism. We have developed and offered ECA System that can be run as easy as a coffee maker in house. How does the KTCC ECA system & device work without the membrane ? It seems Impossible, but is equally possible and simple. That’s the technology We have created and we dream this technology popular. There is still a anode ( positive electrode ) and a cathode ( negative electrode )electrode. But NO membrane which separate a chamber. Accordingly the electrolysis takes place within the chamber. The NON-Merbrane electrolysis results in single end solution. However the end solution controllable by our technology. What is the benefits from NON-Membrane Electrolysis? The NON-membrane technology operates at lower voltages, reduces energy cost and performs unique electrochemical reactions in a wide range of applications. The fact All water are different. What is The HYPOCHLOROUS ACID ? WHAT is HOCL? Retrieved from http://en.wikipedia.org/wiki/Hypochlorous_acid from Wikipedia, the free encyclopedia Hypochlorous acid is a weak, unstable acid with chemical formula HOCl. It occurs only in solution and is used as a bleach, an oxidizer, a deodorant, and a disinfectant. In aqueous solution, hypochlorous acid partially decomposes into the hypochlorite anion ClO- (also known as the chlorate(I) anion) and the proton H+. The salts of hypochlorous acid are also called hypochlorites. One of the best known hypochlorites is household bleach, sodium hypochlorite (NaClO). Hypochlorous acid (HOCl) is the stronger form of free chlorine, and hydrochloric acid (HCl) lowers pH and alkalinity. In biology, hypochlorous acid is used by neutrophils to kill bacteria. How much safe the HOCL is ? The HOCL is safe in Unrivalled. HOCl outperforms conventional disinfectants in effectiveness and, perhaps most importantly, safety. Recognized and approved by the FDA for open wound care and the disinfecting of surgical equipment, this powerful disinfectant is perfectly safe for skin, eyes and lungs, a claim most chemical ingredients would be hard pressed to make. It may also be sprayed directly on fruit, vegetables, meat and fish, in fact on any food, to remove bacteria; and no rinsing is needed before eating. In short, eKlean & Water Systems makes HOCL, which is branded as Waterlox PET & Waterlox VET the perfect product for pet parents looking for an alternative to harmful chemicals. Waterlox PET & Waterlox VET is natural, safe, effective and eco-friendly — a perfect fit with our company’s core commitment. What is ORP (Oxidation Reduction Potential) and PH issue. ORP stands for Oxidation-Reduction Potential. In some parts of the world, it is also known as Redox Potential. We can see examples of oxidation all the time in our daily lives. They occur at different speeds. When we see a slice of apple turning brown, we are looking at examples of relatively slow oxidation. When we look at a fire, we are witnessing an example of rapid oxidation. We now know that oxidation involves an exchange of electrons between two atoms. The atom that loses an electron in the process is said to be “oxidized.” The one that gains an electron is said to be “reduced.” In picking up that extra electron, it loses the electrical energy that makes it “hungry” for more electrons. Chemicals like chlorine and ozone are all oxidizers. It is their ability to oxidize – to “steal” electrons from other substances – that makes them good water sanitizers, because in altering the chemical makeup of unwanted plants and animals, they kill them. Then they “burn up” the remains, leaving a few harmless chemicals as the by-product. Is the Hypochlorous acid(HOCL) really harmless to human being? Sterilization (or Disinfection ) is the elimination of all transmissible agents (such as bacteria, prions and viruses) from a surface or piece of equipment. This is different from disinfection, where only organisms that can cause disease are removed by a disinfectant. Disinfectants sanitize surfaces, medical equipment and other man-made objects. 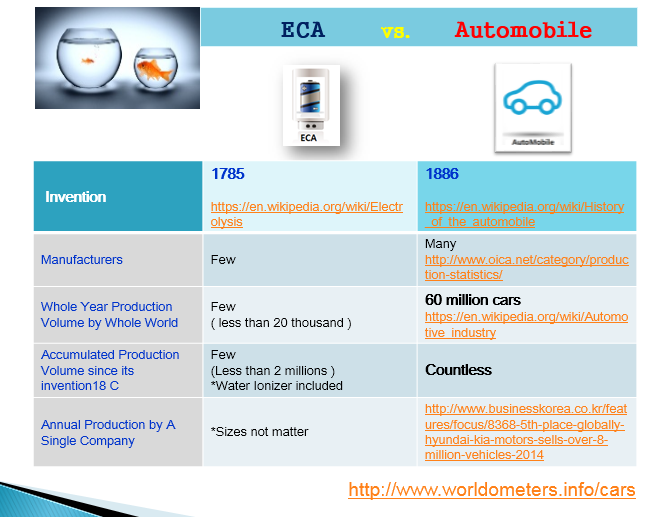 ECA – Why it is Green? Recycling 1 ton of paper or cardboard can save 1.3 tons of wood from being cut down. Recycling 1 ton of plastic can save 800 kg of oil. Recycling 2 plastic bottles provides enough material to make a scarf and a sweater can be made from recycling 27 plastic bottles. Recycling 25,000 tons of newspaper can save 15,000 acres of forest and still provide enough material to manufactures 15 billion pencils. Automobile manufacturer is a competitor of this technology and products because people is supposed to drive a car to buy such toxic pre-packaged chemicals displayed on the supermarket. More than 100 million plastic bottles are used worldwide every day! Just think about it: every single piece of plastic that has ever been produced in history still exists. In recent years, the production of domestic wastes has increased by 60%. Although 40% of these wastes are recyclable, only 8% are actually recycled into usable goods. By using this natural or recycled products, You are helping make the world a greener, brighter place. 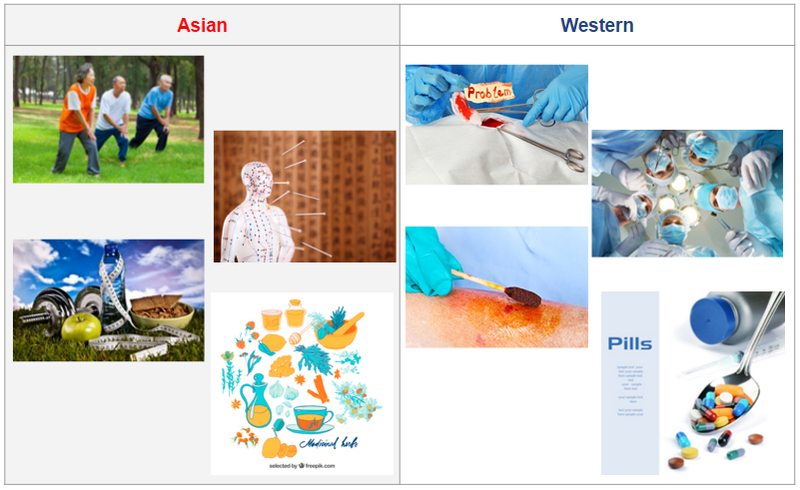 The Big difference medical approach between Asian and Western to pathogens? Western medicine concentrates on immediate killing of germs. To that end, what people take in is an “antibiotic” and what people apply on the skin is a “disinfectant”]. Why the ECA machine has not been commercialized well despite of long history? Despite the tremendous growth potential, electrolysis ionized water and electroChemically activated water generators have been still manufactured in small quantities or in order-based manner due to difficulty in maintenance, repair and management of relevant machines after 200 years from the great achievement of Michael Faraday in the 18th century. It reminds us of a cottage industry in the Industrial Revolution period. The big difference between the sizable market potentially and its demand and need to such great product good fit to livelihood and business unleashed our challenge. We come to manufacture and want to distribute as many Water Ionizer as ElectroChemical Activator Machines as an Automobile company sell its car over the world. Every year more than 60 Mil. Cars produced and sold over the world by a single automobile company. But Entire figures of ECA Machines sold for 200 years since it invented is less than few million units only. No one know ever why? and what happened to the ECA That is a major reason why we innovate importantly, KTCC’s commitment to the business has been stimulated by the huge potential market demand, possibility, potentiality, difference and demand for optimized products. 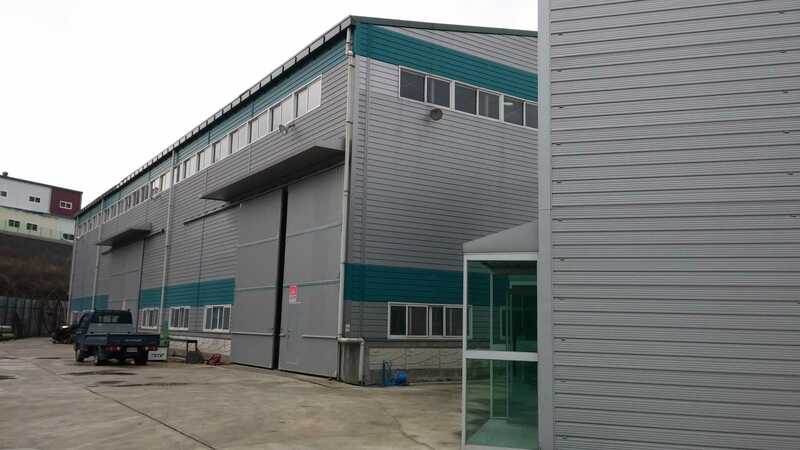 “KTCC has started manufacturing electrolysis equipment with the purpose of selling as many the equipment as automobiles that an automobile company is selling. In 2014 Hyundai Motor and Kia Motor manufactured and sold more than 8 million cars all over the world. However, until now less than 2 million units of electrolysis water generation system have been manufactured more than 200 years after its invention. Approximately just 10 thousands units have been manufactured and sold annually. Does KTCC's ECA System & Device have any regulatory approval? US FDA registration, CE Markings for European Market, and ISO 9001 certified.